The story of Wells Lamont goes hand in “glove” with the story of America’s coming of age. In the fertile valley of Aberdeen, South Dakota, William Orson Wells (known as W.O.) started the Wells Glove Company in 1907. The initial $500 W.O. had to begin his venture set him up in production with five sewing machines and a small amount of cotton cloth. To insure the company’s success, he decided that they would manufacture a premium line of buggy whips (a popular item in the day) along with gloves. By 1910, W.O. had phased out buggy whips because he believed there wouldn’t be a very bright future for them. Wells Glove Company would henceforth concentrate on gloves and only gloves. 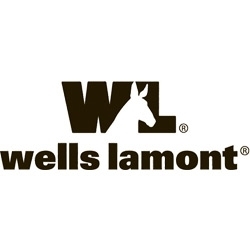 It would be this kind of marketing foresight that would carry Wells Lamont forward to this day.